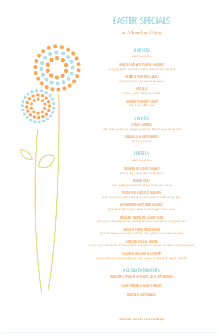 This Restaurant Easter Menu features a pair of sweet blue and orange flowers poking out of the ground to the left of the Easter specials menu. 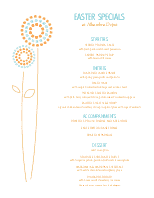 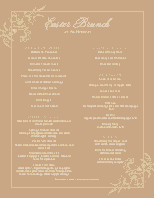 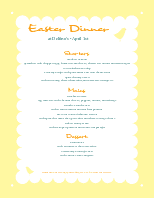 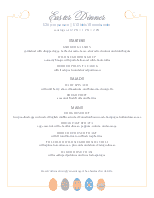 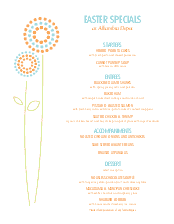 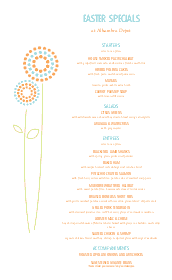 The specials menu is presented in orange text with a blue heading that says Easter Specials. 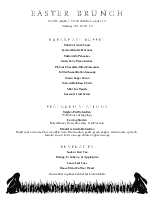 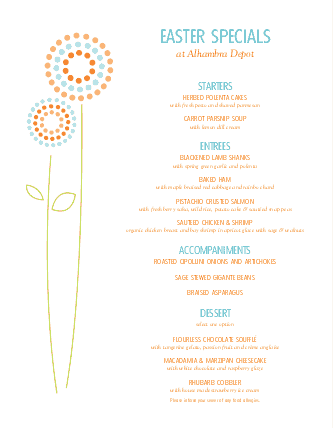 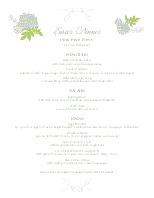 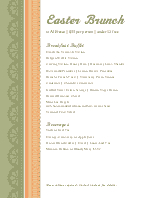 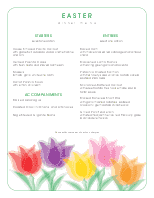 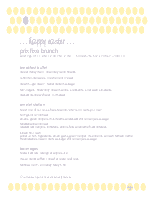 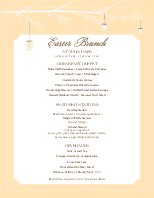 Customize the menu for your Easter restaurant event.